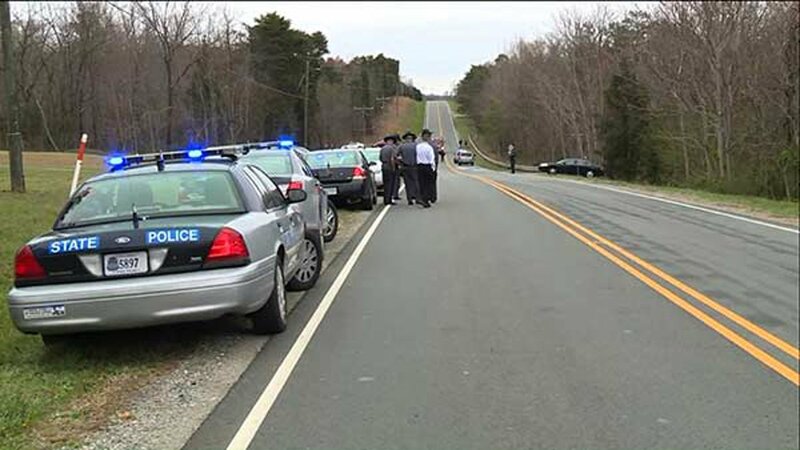 BUCKINGHAM COUNTY, Va. -- Two children were killed as they ran across the street to their school bus Thursday morning in Buckingham County, according to Virginia State Police. A tractor-trailer hit the children as they crossed Route 15, near Baptist Union Road, in Dillwyn at about 7:42 a.m.
Tori Perez, 5, and Jaiden Bartee, 6, both died at the scene. The children were cousins, according to a man who identified himself as the grandfather of one of the children. An adult family member was with the children at the bus stop, according to one of the children's parents. A tractor-trailer hauling mulch was traveling north on Route 15 as a Buckingham County school bus was approaching in the opposite lane, according to Virginia State Police. "The school bus was traveling south on Route 15 and began slowing to pick up six children standing off the north side of Route 15," Geller said. "As the bus was slowing to a stop, two of the six children ran across the northbound travel lane towards the bus. The bus had only its yellow flashing lights activated." The red flashing lights and stop sign are triggered when once the bus comes to a complete stop. The school bus driver saw the children running toward the bus and saw the truck coming down the road. "The bus driver told State Police that when she realized the tractor-trailer was not going to be able to stop in time, she frantically began motioning to the children to stop and get back off the side of the road," Geller said. The children either did not see the driver or ignored the warning. It was not until the truck driver saw the children run out that he knew he needed to stop, because the bus lights were still flashing yellow. "Based on the witness accounts and the crash investigation, no charges will be placed," Geller said. "The vehicle was in compliance with commercial vehicle regulations, and the 66-year-old male driver from Dillwyn, Va., has a valid commercial driver's license." "The community, school, and local clergy had been deployed at all level of the school system to work through this tragedy with children and employees," a Buckingham Schools spokesperson said. "The superintendent wants everyone to keep us in prayer during these times."